Once domestic remedies have been exhausted, or if they are impossible to access due to corruption or danger, it may be possible to escalate cases involving FoRB violations to regional human rights institutions and mechanisms. The Permanent Representatives’ Committee (PRC) consists of ambassadorial level representatives of accredited member states of the African Union (AU). It is an advisory body with several subcommittees (although none on FoRB), which prepares the agenda for the meetings of the Executive Council. The Executive Council, which is composed of foreign ministers, has the broad mandate of coordinating and taking ‘decisions on polices in areas of common interest to the member states.’ It also draws up the agenda of the organisation’s primary organ, the AU Assembly, which meets twice a year and comprises heads of state and government or their accredited representatives, and adopts legally binding decisions or declarations that serve as guidance. Any member state, AU organ or Regional Economic Community may propose items for the agenda. In the event of a significant FoRB issue or severe and/or ongoing violations, advocate for a sympathetic government to place the issue on the AU Assembly’s agenda for discussion at heads of state level. The African Commission on Human and Peoples’ Rights and the African Court on Human and Peoples’ Rights were established to facilitate the implementation of the Charter. The interpretation of the African Charter on Human and Peoples’ Rights. Each state is required to submit an initial report to the Commission two years after ratification or accession to the African Charter, and a periodic report every two years thereafter on the measures it has taken to uphold the rights and freedoms outlined in the Charter. You can check your country’s report on the website of the African Commission on Human and Peoples’ Rights, and brief relevant commissioners in advance on pertinent issues, if the country is due for a review. Apart from 11 Commissioners, the Commission has working groups that investigate specific issues, and several special rapporteurs to whom specific allegations can be brought. However, there is no special rapporteur on FoRB. A complaint can be made to the Commission against a state party to the African Charter as long as domestic legal remedies have been exhausted. The Commission can respond quickly to emergency complaints, can make findings and recommendations, and adopt thematic, country specific or administrative resolutions on human rights issues. However, implementation remains problematic, as the Commission has neither the mandate nor the ability to monitor or enforce its recommendations. Nevertheless, resolutions do have moral force and can facilitate action in other arenas. For example, longstanding non-implementation of Commission resolutions formed the basis of a call for action that culminated in the creation of a special rapporteur and a commission of inquiry on Eritrea. The African Court on Human and Peoples’ Rights is the judicial body charged with the protection of human rights and is expected to work closely with the Commission. In order for judgements to be binding the jurisdiction of the Court has to have been accepted by the country concerned. Only eight countries have done this. Advocate for your country to submit to the jurisdiction of the African Court on Human and People’s Rights, if it has not done so already. The Pan-African Parliament (PAP) is the legislative body of the African Union, and is charged with giving ‘a voice to the African peoples and the Diaspora’, and promoting ‘the principles of human and peoples’ rights and democracy in Africa.’ It includes five members of parliament from each AU member state, who are not directly elected, and holds two plenary sessions, and two sittings of its Permanent Committees annually. The PAP’s nine Permanent Committees, and one ad-hoc one, include a Committee on Justice and Human Rights, which lists among its aims that it strives to ‘promote respect for and develop sound principles of freedom, civil liberties, justice, human and peoples’ rights and fundamental rights within the Union.’ This committee and the PAP’s five regional caucuses are useful avenues to advocate for consensus on key concerns, including FoRB issues. While the PAP has no binding legislative powers, Rule 72 (1) of its’ Rules of Procedure states that ‘any citizen of a member state has a right to address a petition to parliament on a matter which falls under the activity of the African Union and which affects him/her directly.’ Thus a petition can be filed with the PAP in order to raise awareness of a FoRB violation. Alternatively, African parliamentarians can contact their local Pan-African Parliamentarian and ask them to raise a motion for debate. Note that the motion must be seconded by another member before a discussion can be held. If the PAP decides it requires more information on a given issue, it can establish and send fact-finding or observer missions to the country in question. This too can be an effective way of drawing attention to FoRB violations. Press for Pan-African Parliamentarians to raise and second a motion on FoRB for debate. There is no human rights mechanism within ASEAN’s framework, which is currently limited to the ASEAN Human Rights Declaration and the ASEAN Intergovernmental Commission on Human Rights (AICHR). Both contain some flaws and contradictions. In addition there is no regional court in or mechanism by which victims can raise FoRB violations outside of their domestic legal systems. Join ASEAN Parliamentarians for Human Rights and advocate as a network, in collaboration with civil society, for reform to the ASEAN human rights framework, including the strengthening of the Human Rights Declaration, the establishment of complaint mechanisms and a court. The CoE is the foremost human rights organisation of the European continent, comprising of 47 members. Headed by a secretary general and assistant secretary general, the CoE also has a Committee of Ministers consisting of foreign ministers of member states, which decides on policy and approves the budget and activities. It has a commissioner for human rights, who independently addresses human rights issues. As well as being a debating chamber, the Council’s 324-member Parliamentary Assembly elects the secretary general, the human rights commissioner and the judges of the European Court, monitors elections, and examines current debates in its Committees. The CoE also has a Conference of International Nongovernmental Organisations (INGOs) comprising around 400 organisations. Another of the Council’s principle organs is the European Court of Human Rights (ECtHR), which guarantees the rights enshrined in the European Convention on Human Rights (ECHR). The ECHR protects the rights of people in all 47 countries of the Council of Europe. In some circumstances, it can also protect the rights of people in other countries. If a person’s rights under the ECHR are being breached and they cannot access domestic legal remedies, they can take their case to the European Court of Human Rights. The Court adjudicates cases by applying and interpreting the ECHR, and issues legally binding judgments that are implemented at national and local levels. The EU Charter of Fundamental Rights brings together all the personal, civic, political, economic and social rights enjoyed by people within the EU. It became legally binding with the entry into force of the Treaty of Lisbon in December 2009. The Charter is consistent with the ECHR. It strengthens the promotion of fundamental rights by making these more visible and explicit. In 2010, the European Commission adopted a strategy to monitor and ensure the effective implementation of the rights and freedoms in the Charter. The EU Agency for Fundamental Rights (FRA) collects data and information and provides expert advice to EU Institutions and Member States in order to ensure that the fundamental rights of people living in the EU are protected. It also promotes dialogue with civil society to raise public awareness of fundamental rights and disseminate its work. FRA addresses FoRB within its thematic work on equality and non-discrimination and seeks to identify possibilities for joint action and cooperation between those motivated by religion and those motivated by human rights to create fair and just societies. FRA maintains continuous communication with EU Institutions and Member States. National Liaison Officers (NLOs) are the main contact points for FRA in the Member States. NLOs, who are government officials, can submit opinions on FRA’s draft annual work programmes, giving the agency a greater understanding of the kind of fundamental rights analysis and assistance that Member States need to shape informed national policy. In 2013, the EU Foreign Affairs Council adopted EU Guidelines on the promotion and protection of freedom of religion or belief , aimed at advancing the promotion of FoRB in its external action, including through its financial instruments. Whilst the Guidelines form a strong basis for the protection of FoRB, there is a low awareness and literacy on FoRB amongst EU staff and a need for more efficient monitoring systems. The position of Special Envoy on FoRB, created in May 2016 by European Commission President Jean-Claude Juncker, has been held by Ján Figel since its inception. The Special Envoy also serves as Special Adviser to the Commissioner for International Cooperation and Development and works in close coordination with the European External Action Service (EEAS). The Special Envoy position currently has an annually renewable mandate. The role of the EU Special Representative for Human Rights, a position created in July 2012, is to enhance the effectiveness and visibility of EU human rights policy. The EUSR has a broad, flexible mandate and works closely with the Special Envoy on FoRB. The EP is the EU’s only directly elected body. It has 22 Standing Committees, including on human rights (DROI) and foreign affairs (AFET), which assist the European Commission (EC) in drafting legislation. These Committees can also create sub committees, such as the Sub Committee on Human Rights of the Committee on Foreign Affairs.  The parliament also has Intergroups, the most relevant being the Intergroup on freedom of Religion or Belief and Religious Tolerance. If you are a Member of the European Parliament (MEP), you can join this non-partisan Intergroup, dedicated to ensuring that the EU’s external actions promote and protect FoRB. The Intergroup helps to mould ideas for new EU policies and legislation on FoRB, and it collaborates with civil society to bring urgent FoRB issues to the attention of key EU policymakers. Its activities include publishing an annual report on the situation of FoRB worldwide. Use parliamentary mechanisms to uphold ECHR protections and support implementation of ECtHR judgments. Use parliamentary mechanisms to promote and protect FoRB in the EU and beyond and encourage NLOs to engage more actively with FRA. Engage with the civil society network European Platform against Religious Intolerance and Discrimination (EPRID) for further FoRB campaigning and advocacy at EU level. Engage with INGOs which undertake EU advocacy and articulate national concerns to an international audience. The Commission is an autonomous organ of the Organisation of American States (OAS). It is charged with promoting and protecting human rights, and along with the Inter-American Court of Human Rights, is a key institution for the protection of human rights within the inter-American system. It can receive individual petitions; it monitors the human rights situations in member states, and examines priority thematic issues. The Commission can visit countries to assess human rights situations, and issue recommendations. It can also create thematic rapporteurs to focus attention on specific violations of targeted communities. There are currently 10 special rapporteurs; however, there is none on FoRB. The Commission considers reports from individuals regarding an alleged violation or grievance, and can explore the possibility for a ‘friendly settlement’. If this fails, the Commission can refer the matter to the Inter-American Court of Human Rights, as long as the country in question has accepted the Court’s jurisdiction. Only states and the Commission can submit cases to the Court. In serious and urgent cases where there is an immediate danger, the Commission may request that precautionary measures be taken. These can be raised via petition by individuals or by the Commission itself. A guide to filing a petition with the Commission, including petitions for precautionary measures for special and urgent situations, is available online in Spanish, French, English and Portuguese. Any person, group of persons, or organisation, on its own or in representation of another, may file a petition. The petitioner or representative can also be changed during the process. The Commission must be informed of this in writing. Note that the Commission cannot examine a petition unless all domestic judicial remedies have been exhausted. It defines domestic judicial remedies as those which are deemed adequate and effective, so domestic courts can be bypassed if they will not protect the violated right, or do not have the capacity to ensure their ruling is upheld. The statute of limitations on filing a petition is within six months of domestic means being exhausted. File petitions on FoRB violations with the Commission. This may also encourage the creation of a special rapporteur on FoRB. Central Africa, Eastern Africa, Northern Africa, Southern Africa and Western Africa. Amy Shepherd, CSW EU Advocacy Manager. Diplomacy and Determination: Five Years of the EU Guidelines on Freedom of Religion or Belief, Forb in Full: A blog by CSW, 16 April 2018. ‘The GSP+ is a component of the EU Generalised Scheme of Preferences (‘GSP’) for developing countries. It offers additional trade incentives to developing countries already benefitting from GSP to implement core international conventions on human and labour rights, sustainable development and good governance.